On the "App Integration" tab, locate and click on the ExactTarget "Connect" button to launch the configuration options. b. Select a ExactTarget list and click "Save. 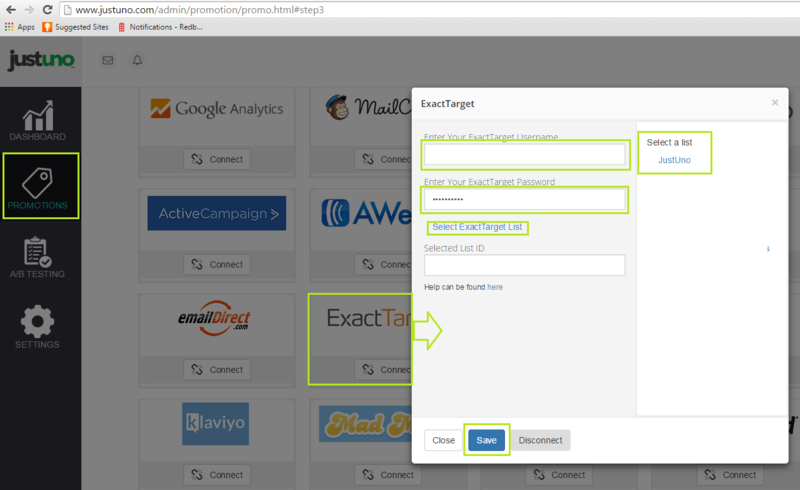 Your Justuno will now sync new signups to your selected ExactTarget list as they come in!